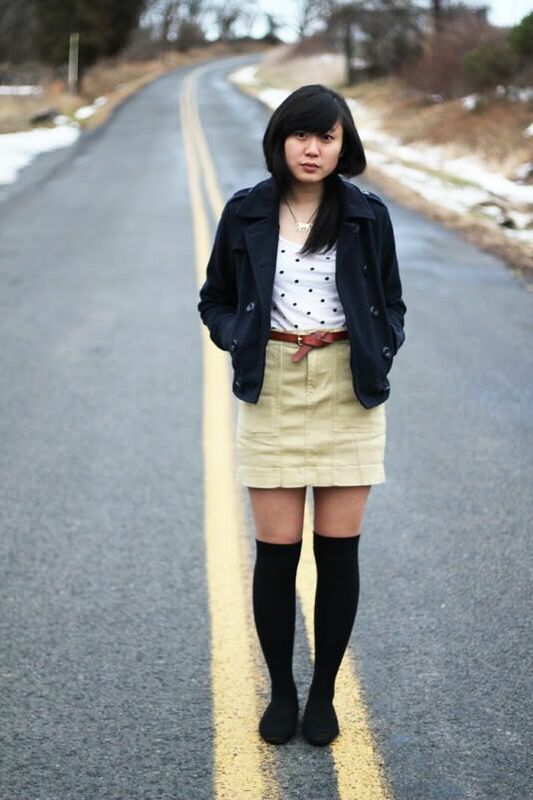 On Sunday, Kirsten and I decided to go on a photo adventure in Lambertville, NJ. We were originally going to look for a haunted school in the area but there was no listed address anywhere online. We decided we'd do more research before heading out next time. Instead, we wandered into this random area with beautiful and foggy hills. The weather was very gloomy so it set an eerie mood. I love the location of these pictures, mainly because I think gloomy weather makes for the best pictures. I think I also have a thing for rust; there's always some sort of beauty in decay and rot. So if you guys remember from my 2011 Check-list, one thing I had written down was to take a picture every day. I decided to start up a tumblr in order to document and track my favorite picture from each day. Go check it out if you'd like! have a nice day jennn! your socks are ADORABLE with those polka dots :) You are so sweet! The location really is eerie. Love it! Rust has always fascinated me too :) I love this remixed outfit--not one piece is new! 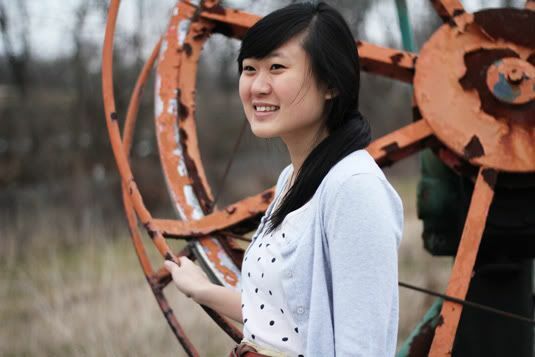 Following you on Tumblr now! i like the background, it looks nice :) haha you're such a cutie! 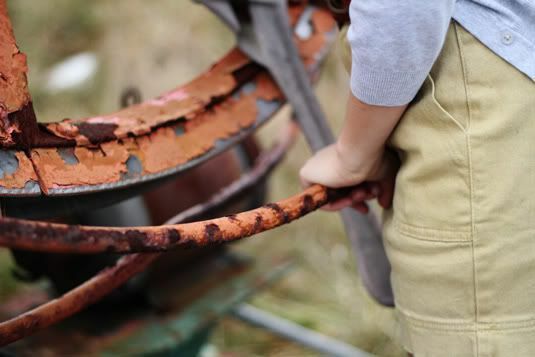 Love your skinny belt :) And yes I think rusted objects have that nice antique and aged beauty to it. Bot sure about rotted things though, that could potentially get a little unpleasant. I love the picture with you in the street! Those shots are always scary to take but always turn out really well! look great with that high socks..
and hey i love that place? where is that? btw happy new year jen.. I love the background for this picture. I agree that the rustic look is perfect. Of course I love the outfit as well! Your dotted top is so adorable! 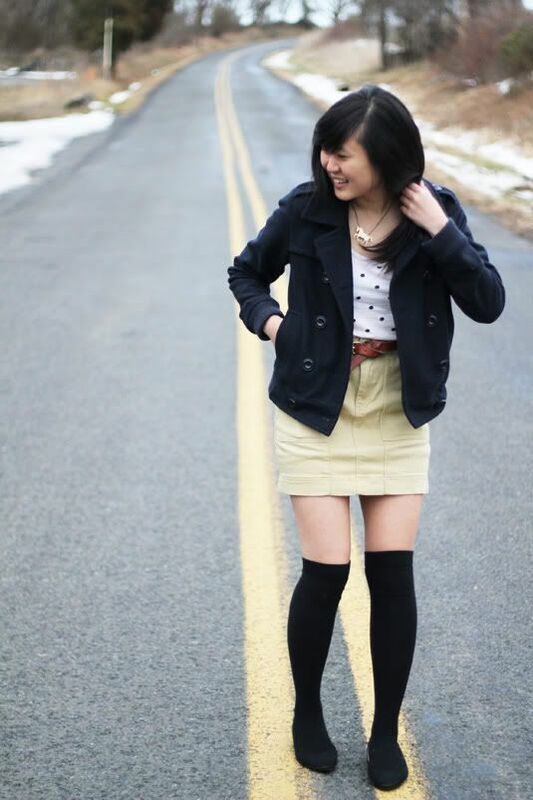 Yay for thigh highs! And I always can't help but adore that necklace. The location is more than lovely! It reminds me of the name of the band my friend and I semi-started. haha Charming Decay. 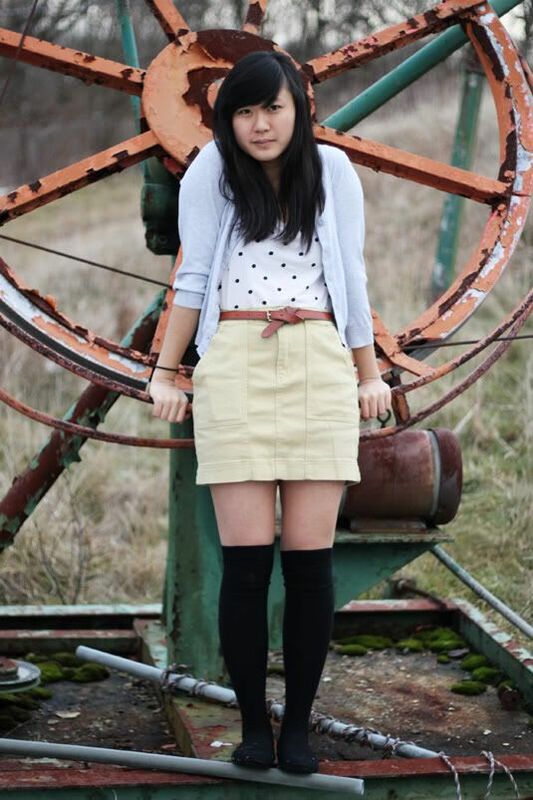 Totally in love with these shots, that sweet polka-dot tank, and the way you're rocking the knee-highs! Even though y'all didn't find the haunted school (eep! ), looks like the trip was a success!